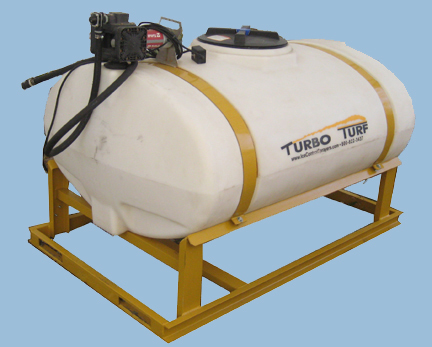 Turbo Turf makes 12 Volt Electric watering units in sizes from 50 gallons to 1600 gallons. The 12 Volt pump comes with a wired remote on and off switch and alligator clips to attach to a battery. The pump has a maximum output of 11 G.P.M. Electric watering units come standard with 75 feet of hose, a shut off valve and nozzle.